Breakdancers perform in competitions, on the street and in the subways where they can make $75 to $100 per dancer for a few hours work. Music fills the subway car as a group of teenage boys call out for your attention. You find yourself entranced by their perfectly choreographed, athletic dance moves as your hand slips easily into your pocket to reach for some cash. From the subways to the street corners, break dancing is making a major comeback in the city where it was born, according to the New York Times. Breakdancing sprang to life in Manhattan and the South Bronx in the early 1970s and was receiving worldwide acclaim by the 1980s. And then came the inevitable backlash and scare stories from the press about the dangers of busting a move. Many of the today's young B-boys hail from the same Bronx neighborhood, near Morris Avenue and 170th Street. They perform and collect donations on the A, B, C and D trains between 59th Street and 125th Street in Manhattan every weekend, and can make make $75 to $100 per dancer for a few hours work, according to the NY Times. “Instead of stealing and robbing we get some honest money,” Rex Martinez, 14, told the Times. Performing on subway cars is prohibited and some B-boys have spent a few days in jail for panhandling. 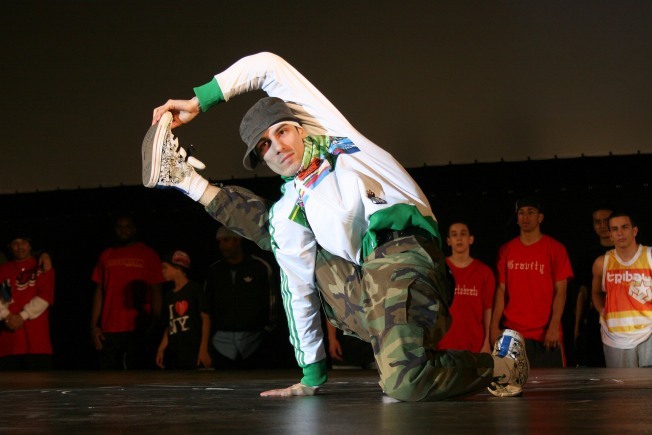 Despite the threat of arrest, the B-boys dedicate themselves to their art. They practice during the week at the old Taft High School building and take pride in teaching dance to younger kids in the neighborhood.